The Data Science with SAS Certification training in Mumbai aims to enhance your skills in SAS data science tools. With this course, you get the benefit of learning predictive modeling techniques; advanced statistical concepts like decision trees, linear regression, and clustering; data analysis methods to solve real-world business problems and how to apply data manipulation and optimization techniques. The SAS certification course in Mumbai also strives to provide a hands-on experience, which will be beneficial in your next step of data analysis career. SAS is the leading Data Science Platform in the 2017 Gartner Magic Quadrant. A Business Intelligence Developer who is proficient in SAS can earn an average salary of $104k according to the estimates of Paysa. Candidates can excel in analytics techniques using SAS data science tools by taking Simplilearn’s Data Science with SAS training course in Mumbai. The course provides a comprehensive understanding of the graphic user interface (GUI) as well as analytics. It further explores the need for macro variables, select statements and joins in SQL, and combining dataset methods. 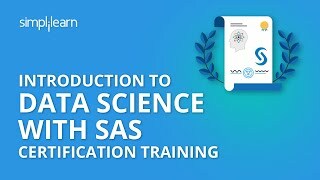 This SAS training course also focuses on data analysis methods to solve real-world business problems and predictive modeling techniques; advanced statistical concepts like decision trees, linear regression, and clustering; and how to apply optimization and data manipulation techniques. What skills will you learn in this SAS Training? 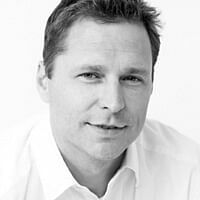 Who should take this SAS Certification Course? Candidates require no previous experience to enroll for this course. To brush up the candidate's coding knowledge, Simplilearn provides an additional SAS Base Programmer course free of cost. Theoretical knowledge is a small aspect of Simplilearn’s SAS Certification training course. Hence, we provide four real-life, industry-oriented projects for the candidates. It is mandatory for the candidates to complete one of the given projects to get certified. 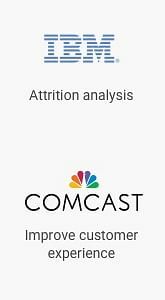 Telecommunication: Analyze the employee attrition rate of a leading BPO company. The dataset is maintained for the attrition analysis, and it has records of employee_id, retain_indicator, sex_indicator, relocation_indicator, and marital_status. 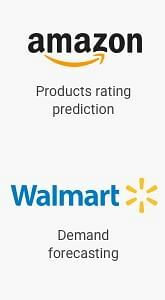 E-commerce: Forecast sales based on the independent variables such as profit, quantity, marketing cost, and expenses using the regression model. Sales: Generate a list of all data sets in SAS which have sales-related information and pass it on as the macro variable. Internet: Perform customer segmentation with RFM methodology on an e-commerce website’s customer data set. Segment customers based on frequency, recency, and monetary value. What are various career opportunities for SAS Certification trained Data data scientists? Complete one project and get it assessed by the lead trainer by submitting the deliverables in the LMS. Attempt and one simulation test out of the three and achieve at least 60% passing score. Simplilearn awards a three-month experience certificate for using SAS in the project implementation after a candidate completes the course successfully. For Self-paced learning mode, candidates need to finish 85% of the course along with one assigned project and one simulation test achieving a 60% passing score. For Online Classroom mode, candidates need to attend one complete batch and submit one assigned project and one simulation test achieving a 60% passing score. What are the prerequisites for learning SAS ? The Data Science with SAS training course requires no previous understanding of data statistics or analytics. Candidates with keen interest in Data Science can enroll for this course. The candidates need to pay INR 9999 for online self-guided learning (OSL). If they enroll in the live virtual classroom (LVC) then an amount of INR 21,999 or $599 is to be paid. No, the Data Science with SAS course in Mumbai is not officially accredited. 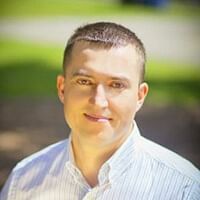 Candidates need to complete one project and qualify one of the simulation tests with at least 60 (out of 100) passing score to pass the Data Science with SAS Exam. Simplilearn offers Online Self-Learning and Live Classroom training modes for the Data Science with SAS course. Both of the modes require nearly 98 hours to be completed. The candidates are allowed to appear for the Data Science with SAS exam twice. The next attempt can be taken immediately if the candidate fails in his first attempt. Simplilearn’s Data Science with SAS course completion certificate is awarded to the candidates who complete the training program of Data Science with SAS satisfactorily. Yes, the training programs offered by Simplilearn comes with a money-back guarantee. Candidates need to go through the Refund Policy and then visit our Help and Support portal to generate the refund request. Simplilearn provides the options of Contact Us form and Live Chat for the candidates to get in touch with the customer service representatives and learn more about the Data Science with SAS training course in Mumbai. What is the average salary for a Data Scientist in Mumbai? According to Payscale, a median salary of Rs 715,000 per year can be earned by Data Scientists in Mumbai. By taking the Data Science with SAS Training program, there can be considerable improvement in the salary drawn by the employee. What are the various SAS related roles available in Bangalore? What are the top companies that offer sas related data science jobs in Mumbai? Professionals proficient in Data Science and Business Intelligence are in continuing demand in the companies of Mumbai such as Axis Bank, Board Infinity, Play Games24x7, and Connexons Web. Online Self-Learning: This mode involves pre-recorded videos which the candidates can use for learning at their own comfort. Live Virtual Classroom: These are live interactive sessions where the candidates can communicate with the trainers through video conferencing and get their queries resolved. This learning mode gives the option of better time management and improves the learning experience. Simplilearn makes sure that the candidate’s learning is not affected by missing a class. For this, recordings of each class are provided to the learners for reference before the next class. Yes, candidates are allowed to cancel their enrollment. After deduction the administration fee, a complete refund will be provided. Read our Refund Policy to know the details. Yes, Simplilearn provides group discounts for its training programs. Our support team can be contacted for further details via our Help and Support option. A receipt will be sent to the candidate via email once the payment is successful. Simplilearn appoints faculty who have high alumni rating and those with in-depth domain knowledge. The selection process is difficult and incorporates stages like profile screening, technical assessment, and training demo. Trainers even after completing the selection process should have a proven teaching experience of 12+ years to become the faculty at Simplilearn. We always strive to provide the best teaching assistance so candidates get certified in their first attempt. The subject matter experts engage participants in the proper flow of the course learning. From class onboarding to project mentoring, our trainers try to enhance your learning experience. Teaching assistance for the Data Science with SAS training course is available in working hours. Simplilearn guarantees to provide 24/7 customer support through calls, emails, or chat options. We have also created a community forum with lifetime access where candidates can get the on-demand assistance regarding the topics of Data Science with SAS. The online training classroom refers to the live training sessions conducted via high-quality video conferencing as part of the Data Science with SAS training program. During the sessions, the candidates can talk to the mentors and get their queries resolved. For self-paced e-learning, candidates need to complete the course by using pre-recorded videos. For online classroom training, Simplilearn uses live online streaming for conducting classes in addition to the pre-recorded videos to give the candidates an enhanced learning experience. The SAS for Data Science certification exam can be successfully cleared by the candidates who have undertaken Simplilearn’s Data Science with SAS training program and followed its course material.